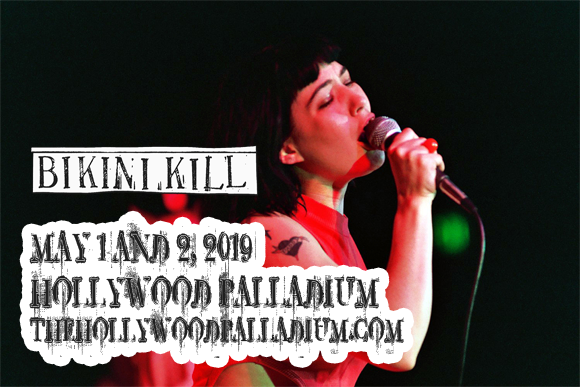 Bringing raw woman power the stage, original riot grrrls Bikini Kill return to Hollywood Palladium on Wednesday 1st May 2019 for the first in another double bill, having instantly sold out their two shows earlier in the year! The irrepressible feminist trio will provide fans with a nostalgia-laden set of their cult classics, hooking new fans in along the way! Do not miss what is bound to be a historic show!